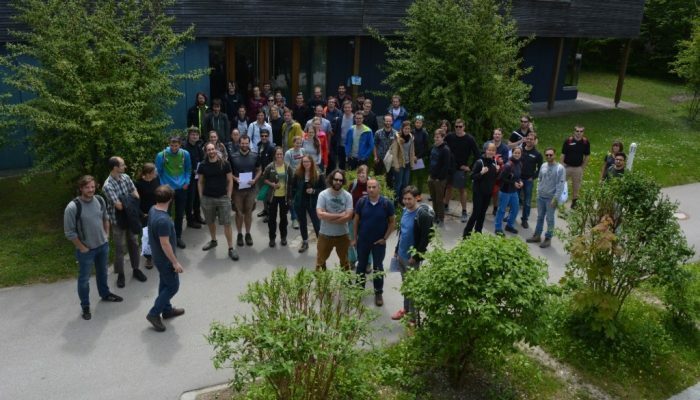 Since 2007, the German Young Geomorphologists organize annual workshops in order to support networking amongst early career geomorphology enthusiasts. The meetings provide a platform for open discussions on a wide range of problems that might have emerged within a particular research project. This year, we invite all interested young researchers / students in geomorphology and related fields to join the 12th international Young Geomorphologists’ workshop at Stadtoldendorf, Germany, held from 25th-27th May 2018. The venue is located at a lake ca. 1 hour southwest of Hildesheim. In a mixture of oral presentations, posters, a keynote and a short fieldtrip, we will have the opportunity to discuss in an open and informal environment. The workshop fee will probably be ~50 € for full board. Please find more information on the meeting in the flyer. Please fill in the registration form and send it to jgtreffen@googlemail.com until April 6th. Please note that the number of participants is limited to c. 45 this year. We will send you an e-mail until April 17th to let you know if you can participate. This e-mail will include all further details and the account information for the workshop fee. Sabine Kraushaar works as postdoc in the ENGAGE Group at the University of Vienna (Geomorphological Systems and Risk Research). Her research until now included soil erosion studies, geochemical sediment fingerprinting and sediment transport modelling in northern Jordan. Soil is not dirt cheap: Soils, Sustainable Development Goals, and Geomorphologists.